closing the digital loop by incorporating Digital Signatures powered by market leader, DocuSign . We’ll take a closer look at fantastic new features introduced in versions 10 and 10.1, and preview upcoming features in version 11 with the Laserfiche Roadmap. Immediately before the mid-morning break, Paul Every, founder of Solitaire Consulting, will provide valuable lessons on how to approach a process improvement project and get the best out of working with your technology partners. At the end of the workshop there will also be an optional, additional session for drop-in, hands-on discussions where we’ll be able to look at your specific requirements and questions. Come and meet with existing Laserfiche users as well as other like minded organisations who are also looking to simplify their business processes. Light breakfast and lunch will be provided. Both workshops will follow the same format. You are welcome to stay for the whole event, or just for the morning sessions. 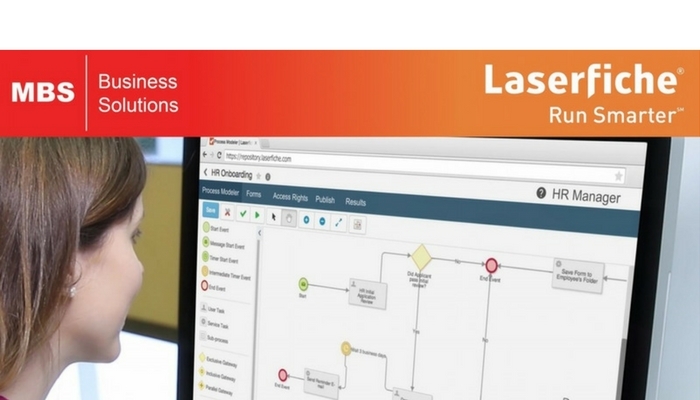 If are unable to make the workshops but you would like more information on the Laserfiche product suite then please contact us.